A Robin's View: Goodbye #Reverb11 & Hello #Cultivate12! Goodbye #Reverb11 & Hello #Cultivate12! At the beginning of December I signed up for #Reverb11, an annual project which aims to reflect on the previous year and manifest the next. 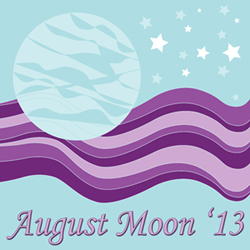 I planned to blog daily, but as the prompts flooded my inbox, I began to feel overwhelmed. The holidays are always stressful, but this year I had extra preparations. Family commitments, the demands of self-employment, and social engagements with friends consumed my time. In the end, I decided to journal privately so I could explore the prompts more deeply. I’ve also allowed the process to overflow into January. It’s such a wonderful opportunity to reflect. Rushing would be pointless! Though I was unable to keep up the momentum of writing posts, reading & commenting on other blogs, I'm grateful that I discovered inspiring people along the way. Following are a list of blogs I have found through #Reverb11. The authors are such creative and talented individuals! I admire their honesty and willingness to share. Blogging- at its best- is a way of forming community. It is a blessing to be a part of theirs! 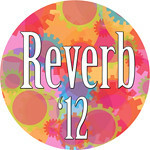 There were many, many interesting blogs participating in #Reverb11. I’ve only named a few I frequented, but hope to discover more in the coming year. 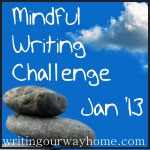 If you would like to receive Meredith’s prompts, check The Prose of An Electrate Mind for more details. In closing, I’d like to thank those who have shown support since I started posting last spring. I’m grateful that you have taken the time to read my words, and have shared your own, whether through commenting or blogging. Wishing you the very best in 2012! Thanks for sharing, and glad to have you aboard for Cultivate 2012! I have great hopes for 2012! Wishing you success as you take steps towards becoming a leader, Meredith!